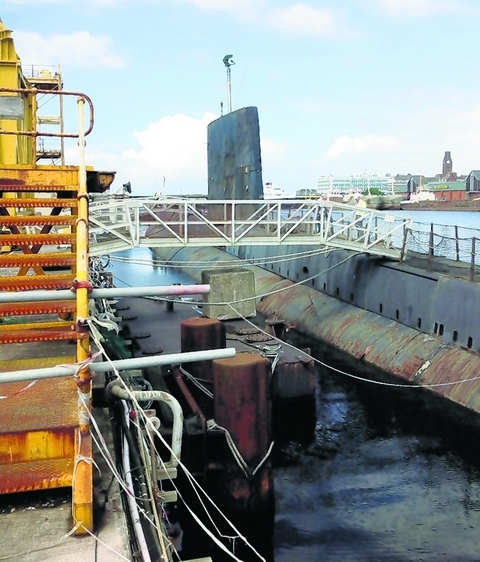 This entry was posted in UK Submarines and tagged Clyde, Greenock, HMS Onyx, Submarine on July 24, 2013 by jasonlockley. it is my belief that onyx should be saved and made into part of a museum of our history, what is wrong with displaying a boat that took part in the Falkland’s campaign together with many years of great service to the country during the cold war, she is the last chance we have of showing people what things were like in those situations. Having served on Onyx during the late 80s and early 90s – I could not agree more!! There is an active Facebook campaign going on at the moment (HMS Onyx group) lead by Ian Thornton and a few others. They are trying to find out what’s happening to her and indeed writing letters to various organisations. I hope they manage to succeed. It makes me wish I’d taken my family down when she was in Birkenhead! !